Each piece is a unique model made, there are no copies. Jewelry can be adapted from the initial model in terms of long, zippers and other details to meet all the expectations of who will acquired. If you want more information fill out this form and we antenderé as soon as possible. 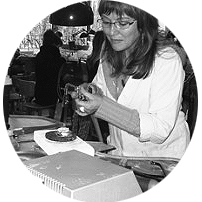 I am Arantza, and put all my energy into my passion, jewelery design.